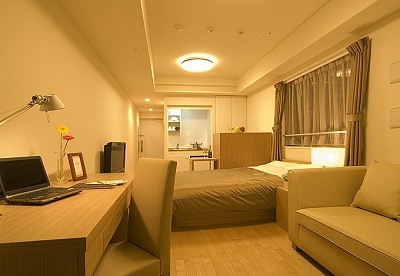 This studio serviced apartment is 26 sq.m and can sleep 3 people maximum. It has 1 Double Bed. The apartment has 1 bathroom. The minimum length of stay for this apartment is 1 month.